BEIJING, Dec. 14 — Taiwan leader Chen Shui-bian’s attempt to reap the biggest gains from the polls in Saturday’s “legislative” elections was shattered. Chen’s pan-green camp’s failure to win a majority at the “parliament” fully demonstrates the unpopularity of the island leader’s obstinate separatist stance which runs counter to the common aspiration for cross-Straits peace and stability. Since Chen took office in 2000 and was re-elected in March, he has done nothing to improve cross-Straits ties. Before the election, Chen had repeatedly vowed to wrest an absolute majority in the 225-seat “parliament” to facilitate his pro-independence push. 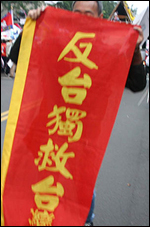 The outcome of the election shows that the majority of Taiwanese want to maintain the political status quo in cross-Straits relations by exerting restraint on Chen’s pro-independence coalition consisting of the ruling Democratic Progressive Party and Taiwan Solidarity Union. The voters were alarmed by Chen’s rash lurch towards independence, especially his plan to change the name of their overseas representative offices if his party gained control of the legislature. 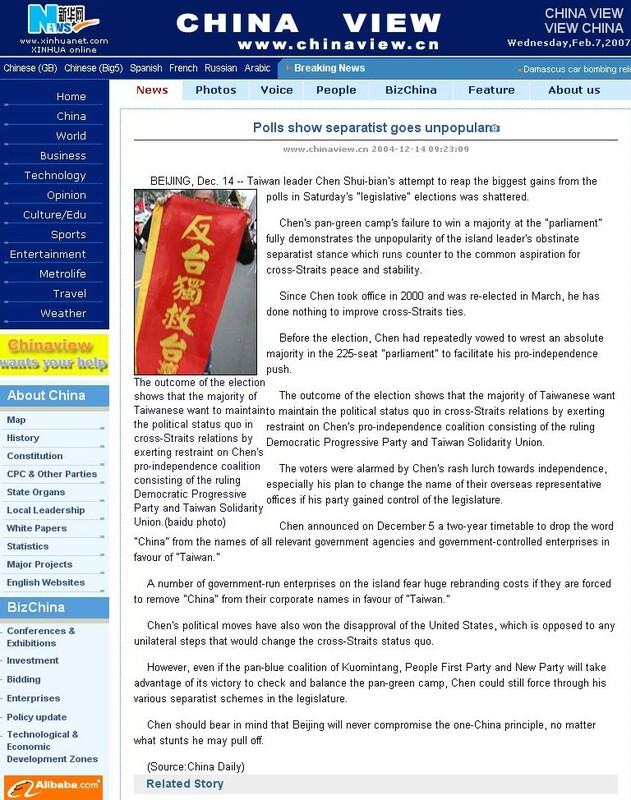 Chen’s political moves have also won the disapproval of the United States, which is opposed to any unilateral steps that would change the cross-Straits status quo. However, even if the pan-blue coalition of Kuomintang, People First Party and New Party will take advantage of its victory to check and balance the pan-green camp, Chen could still force through his various separatist schemes in the legislature. Chen should bear in mind that Beijing will never compromise the one-China principle, no matter what stunts he may pull off.